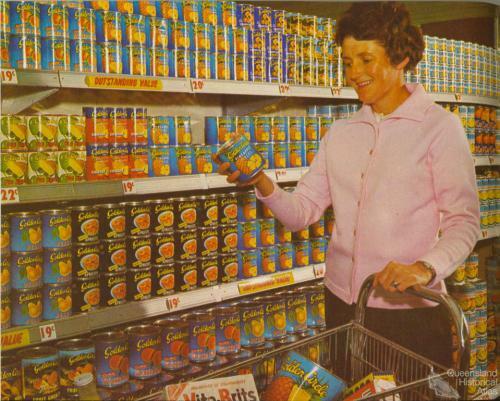 How to save at the supermarket, c1961. 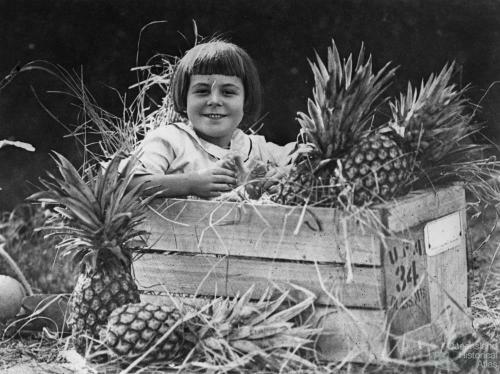 From Golden Circle tropical recipe book, c1961. 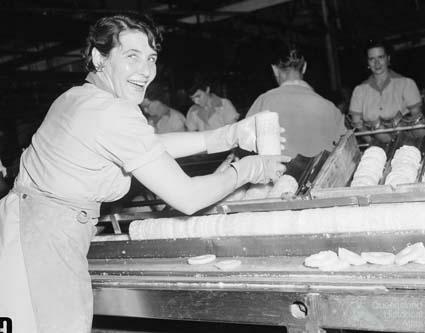 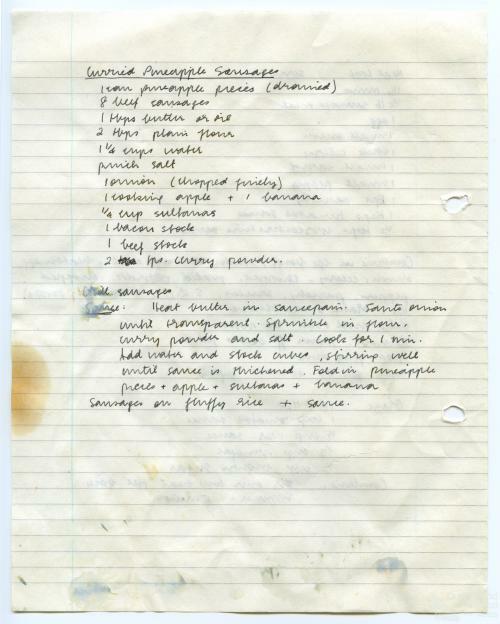 'Curried Pineapple Sausages' c1981, a recipe from the author’s collection. 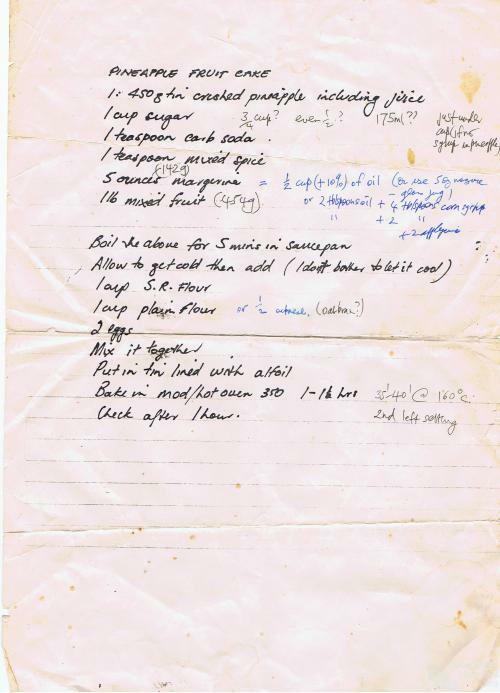 'Pineapple Fruit Cake', a recipe from the collection of Stephen Cassidy. 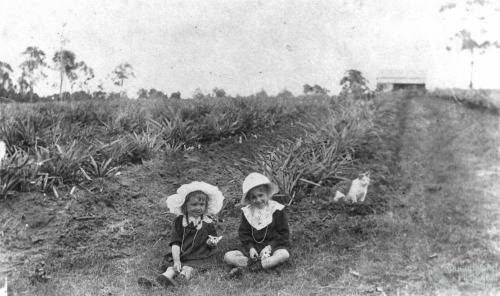 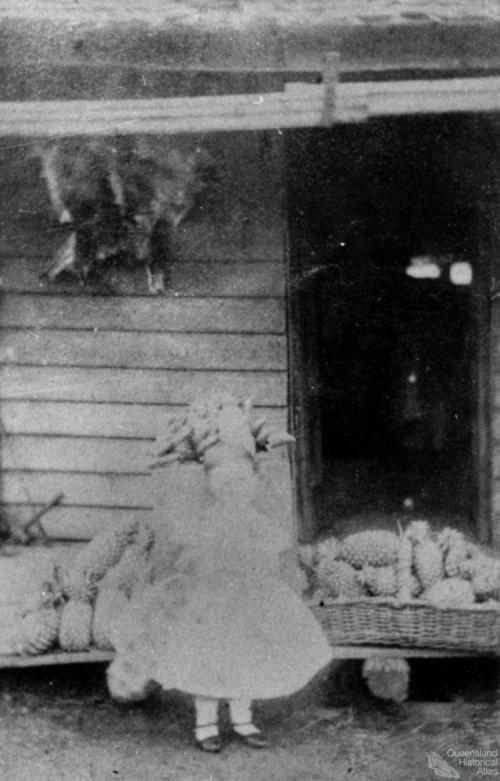 Two children seated at the end of a row of plants at Atthow’s pineapple farm, Lindum, Brisbane, 1914.